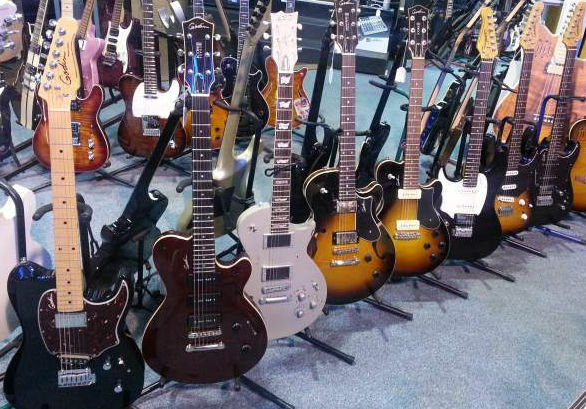 Yamaha is a well-established brand for musical instruments with good value for money. The F310 is the perfect proof for it. 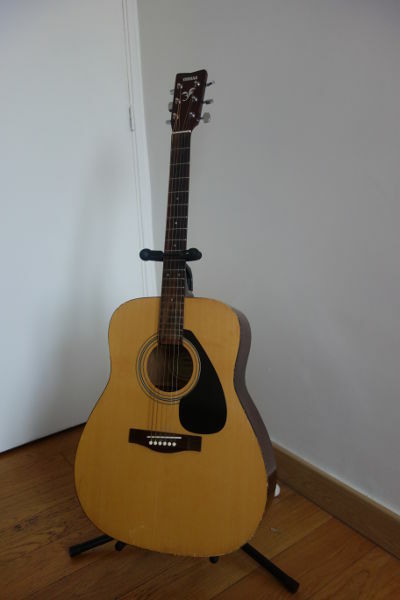 The Yamaha F310 was the first acoustic guitar I’ve bought and at that time I was looking for something with decend sound for a good price just to get started. I really got for the price more than I expected and that’s one of the reasons why I’m still playing on this entry model for more than 7 years. It’s a full size steel string dreadnought guitar. Thanks to its slim neck its incredible comfortable to play. 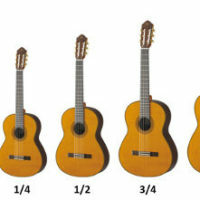 It has got also a slightly shortened scale-length which means that the frets are a bit closer to each other. This helps especially beginners like youth to have a more comfortable playing feeling and to develop hand strength. 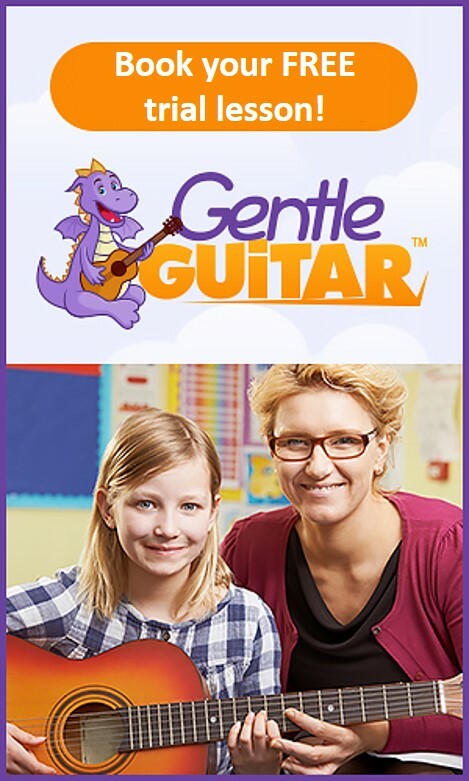 The souns is overall very balanced.There are many cheaper guitars or even guitars for the same price that sound quite awful and can put every child off learning to play. 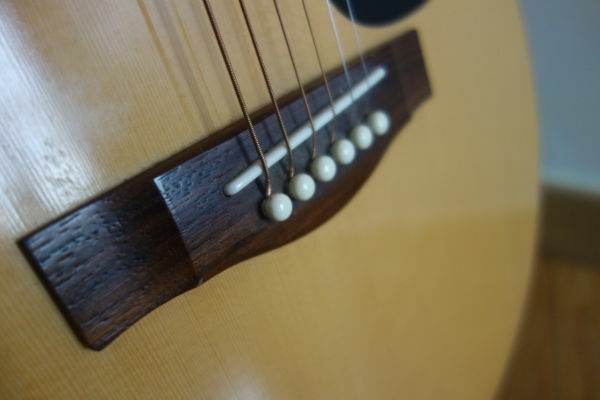 But the Yamaha F310 acoustic guitar has got a fantastic sound for a budget guitar which is rich, clear and with powerful bass. For sure you can’t compare the sound of a laminate guitar with a $1000 solid wood guitar but I would say it’s much better than you would ever expect for an acoustic beginner guitar. Let’s have a listen to a sound sample of this guitar. 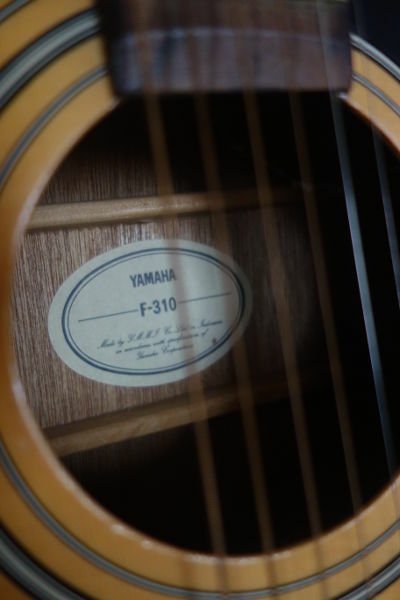 The hardware is pretty standard and unfortunately the Yamaha F310 doesn’t come with locking diecast tuners. But to be quite honest you couldn’t expect those extras for that price. 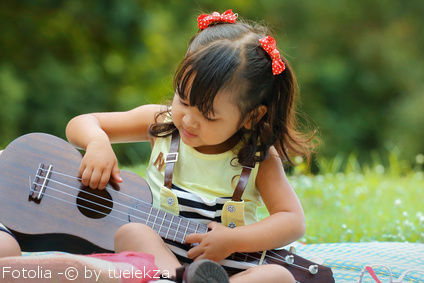 The action of the guitar is also quite good which is an important point especially for younger players as kids since they might otherwise have problems holding chords. If you’re buying this guitar for your child I would recommend to get also some light gauge strings. I personally like strings from D’Addario which have a well balanced and warm tone. After all the years I can ensure that the F310 is quite solid. My guitar has taken many bangs against doors, walls and table edges but it’s still in good conditions. I really like to take this guitar everywhere I go and I had already several little accidents with it but it always survived. 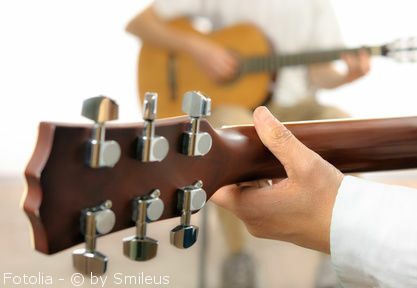 An good quality indicator for a beginner guitar is to see if the guitar can hold the tuning. You need to know that the strings will take a few days to settle and stretch out. 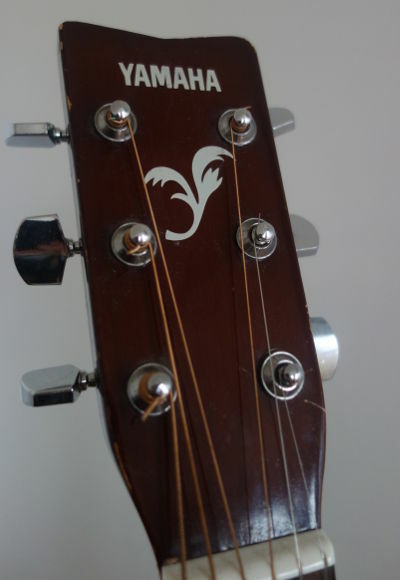 But after a few days the guitar should stay in tune quite a long time and that’s defintely the case for the F310. It holds very well the tuning for a long time compared to ohter cheap and beginner guitars which don’t even stay in tune for some hours. However, I noticed over the time that the finish of the corners which is quite thick and glossy chips easily. For that price you can’t probably expect a better finish. It’s not a big deal for me since it’s still well playable. But I would recommend you to buy a padded bag for this guitar. You should also take into account that the Yamaha F310 isn’t the preferable guitar used for playing life since it has no built-in pick-up. It’s a guitar for house playing and in front small audiences. 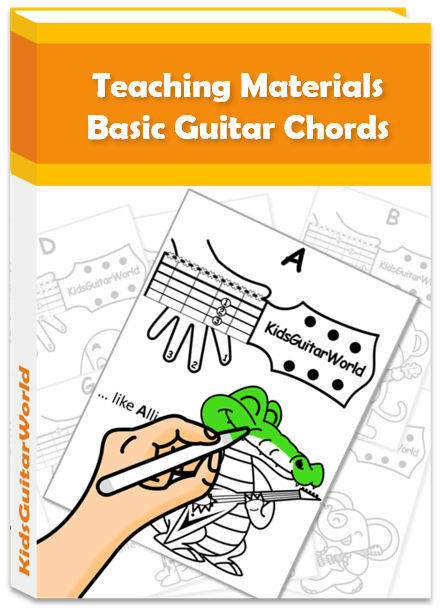 It’s a great learning guitar for beginners. If you want to play regularly gigs on stage you should consider getting another guitar with a pick-up. I bought it as a beginner guitar and after a certain time you want to move on to a more advanced guitar. So did I. However, I don’t want to miss this guitar and I’m still playing regularly on it. If you’re looking for an affordable full size acoustic guitar and you don’t intend to play live on stage, the F310 is the one for you. In my point of view it’s the perfect entry level choice for adults and youth.